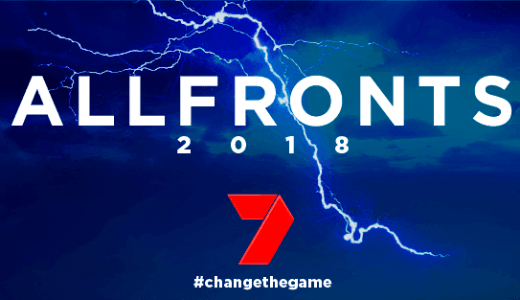 Seven today holds its AllFronts event at the Glasshouse in Melbourne. Advertisers and media will fly in from interstate in lieu of a Sydney event. Guests are also invited to attend the opening of the Rugby League World Cup tonight. Sport will dominate with the Commonwealth Games, Winter Olympics, AFL, Australian Open and the X Games. Seven is expected to outline its revamped 7PLUS digital platform. High on the agenda will be Olivia, My Kitchen Rules, Australian Spartan, House Rules, First Dates, 800 Words, Home & Away, Sunday Night, The Chase, Sunrise, The Morning Show and more of Yummy Mummies. Questions hang over Wanted, Bride & Prejudice, Seven Year Switch and whether the network will announce The Doctor Blake Mysteries. TV Tonight will be Live tweeting after 1pm AEDT. Nit picking, but in your “dominates sport” sentence, perhaps you could’ve included the Melbourne Cup (being one of the biggest events and still rating over 2m in metro)? Yeah, very much nit picking. Perhaps the less “Melbourne” thing to say would be horse racing since the examples provided covered whole seasons and not just a single day. David, is it just me, or has Seven repurposed the old All Saints graphic and typeface for this?